For the Sisulus, Kathradas and Mandelas of Robben Island, the fence was the cold, hard crystallisation of all the obstacles standing between the prisoners and the world they dreamed of: a world free from injustice, dehumanization and discrimination. It was on Robben Island, amongst the limestone quarry and under the ever watchful eye of the guard tower, that the seeds of revolution flowered amongst these great men. From within the constraints of the fence, they envisioned and planned for the democratic South Africa that they would one day build. They were separated from the reality of a free and equal South Africa, but our heroes would not give up hope. Their bodies may have been in prison, but their minds and hearts refused to be confined. This isn’t merely a fence. It’s a powerful reminder of our country’s greatest story. One where brave heroes were held captive behind fences, so we may be free to live a lifetime beyond them. 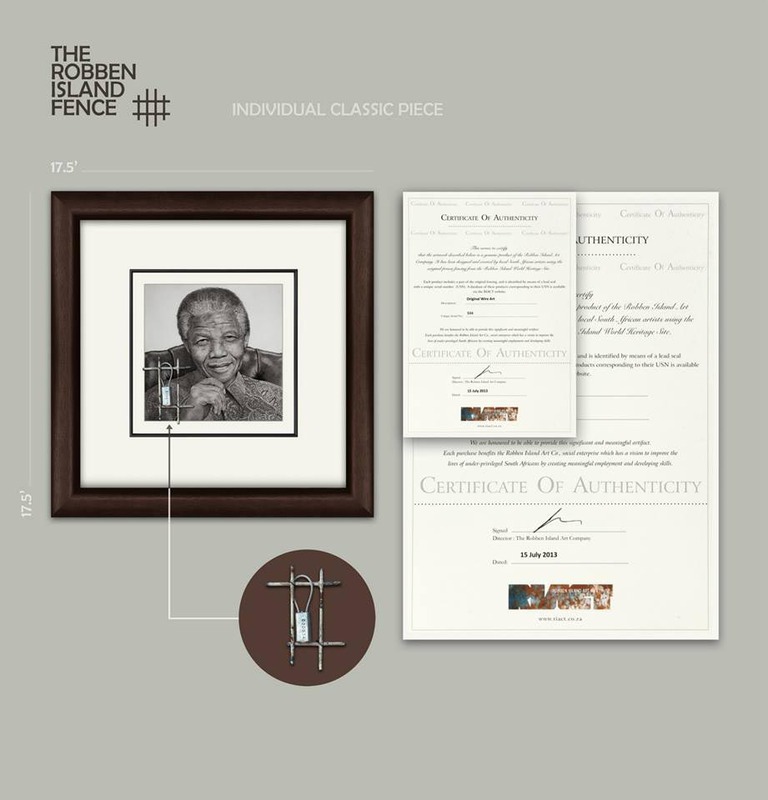 Each individual piece of the Robben Island Fence range of artwork, is authenticated and numbered and includes a part of the original Robben Island fence. Each piece is available for purchase in a range of sizes and within a variety of frames.